Are Aussie businesses ready for digital change? Australian businesses are not ready for digital change, according to two recent, separate studies by Microsoft and Dell EMC. In its Asia Workplace 2020 Study, Microsoft found that employees in Australia do not feel empowered to embrace the demands of the digital workplace. The study, which involved close to 4,200 working professionals from 14 markets in Asia, sought to understand shifting employee behaviours and gaps in the workplace when it came to productivity, collaboration and flexi-work practices. From the study, 66 per cent of Australian respondents said they consider themselves to be mobile workers and spend at least 20 per cent of their time working outside of their office. But only 45 per cent said they are empowered by their organisation’s culture and management to be able to work together productively and collaboratively. In addition, only 32 per cent of respondents agreed that their organisation is committed at a leadership level to ensure every employee is included in closing the digital skills gaps within the workforce. Microsoft Australia office business group director, Sharon Schoenborn, said that as Australia primes itself to become one of the most connected markets, organisations need to rethink how they empower their workforce with the right culture, policy, infrastructure and tools to maximise their potential. “This means enabling collaboration from anywhere, on any device," Schoenborn said. “However, it is also critical for business leaders to evaluate and implement changes to counter cultural and management challenges that are hindering employees to work seamlessly from wherever they are, which will in turn, hinder an organisation’s growth and progress in the digital age,” she said. Microsoft’s findings were further supported by results of a new study by Dell EMC and Enterprise Strategy Group (ESG), which revealed that a majority of senior IT leaders and decision-making managers of large companies have yet to fully embrace the aspects of IT transformation needed to remain competitive. The study was a web-based survey of 1000 senior IT executives and decision-making managers in the US, Brazil, the UK, Germany, France, China, Japan and Australia. The respondents represented a variety of industries and enterprise-class organisations. 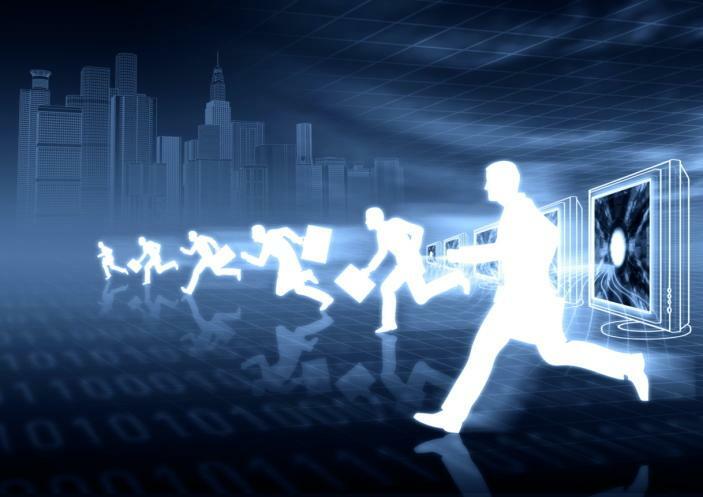 It found that even though 71 per cent of firms agree they will not be competitive without IT transformation, 95 per cent of them said their organisations are at risk of falling behind a smaller group of industry peers that are transforming their IT infrastructures, processes and delivery methods to accelerate their goals of becoming digital businesses. Dell EMC A/NZ consulting services leader, Adrian Iannessa, said the results indicate the majority of senior IT leaders and decision makers are yet to fully embrace the aspects of IT transformation needed to remain relevant and competitive. “IT infrastructure underpins almost every business’ ability to innovate and compete. Despite this, the results of the IT transformation maturity study suggest IT Maturity realities are in direct conflict with digital transformation goals. “With only five per cent of business leaders surveyed by Dell EMC reporting their company is achieving the top level of transformation, this is still a topic that needs to be on the board’s agenda in 2017,” Iannessa said. Read more Does the NBN underpin mobile service provider growth? A recent study by Dimension Data further cemented these, as it found that just six per cent of Australian respondents had an optimised strategy for digital business in place. However, the silver lining to this is that businesses understand that transformation is vital when it comes to achieving business goals. A study by recruitment firm, Hays, reflected that digital transformation remains a hot topic across the public sector. With companies such as Cisco, Huawei, Deloitte and Salesforce leading the way in digital transformation, it’s only in time before other businesses play catch up. The Dell EMC study finds that more mature organisations are seven times more likely to recognise IT as competitive differentiator and profit centre, while 96 per cent of more mature organisations exceeded revenue targets last year, and are more than two times as likely to meet revenue goals with IT transformation. “All respondents are in agreement that IT transformation is vital when it comes to achieving business goals. The adoption of modern IT processes such as self-service provisioning, hybrid cloud offerings and hyper-converged infrastructure is now an essential part of any successful technology strategy," Iannessa said. “With many of the businesses reporting that they are still working towards the goal of transformation, IT and business leaders will need to work closer together than ever before to achieve a mutually beneficial outcome in 2017,” he added. An earlier version of the Microsoft study conducted in 2015 found that 39 out of 100 respondents in Australia were ready for the “new world of work”, where organisations had the right people, place and technology principles in place to enable a productive, collaborative and innovative workforce. This year, that number increased to 48 out of 100, indicating organisations in the market are slightly more equipped, although more can be done to move the needle. The study also found that respondents are beginning to seek better devices to help them become more productive at work. Beyond hardware requirements, 27 per cent said they hope to have access to information and data on their mobile devices and 25 per cent mentioned that they hope to have access to cloud-based productivity tools. “As the nature of work changes, how employees collaborate and work together will be impacted as well. It is critical for business and HR leaders to seek ways to better empower individuals and remove barriers to collaborate for the digital age, especially when the study clearly identifies gaps that can be minimised with technology. “However, it is also important for businesses to also bridge the leadership and employee gap with more focus on people and culture,” Schoenborn stated.